TPU came across a report that Intel's new flagship, the Core i7-3970X Extreme Edition, is already being sold in Singapore for S$1,425 (about US$1,167), including local taxes. This six-core chip is still based on the 32nm Sandy Bridge-E architecture, it has a LGA2011 socket and a 150W TDP, 20W more than the Core i7-3960X. 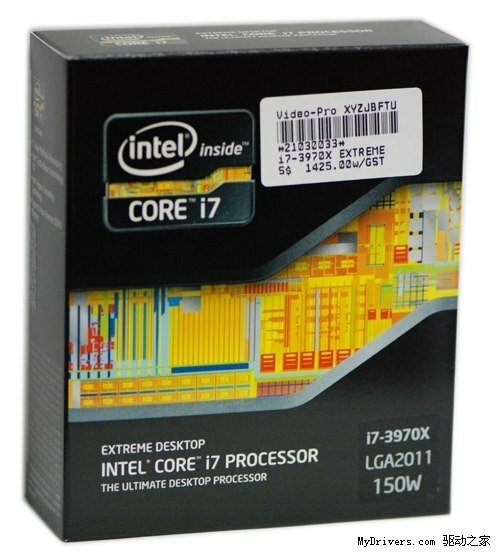 The Core i7-3970X has a frequency of 3.5GHz, with a 4GHz boost, HyperThreading support, 256KB L2 cache per core, 15MB shared L3 cache, and a quad-channel DDR3 memory controller with support for up to 128GB of memory.